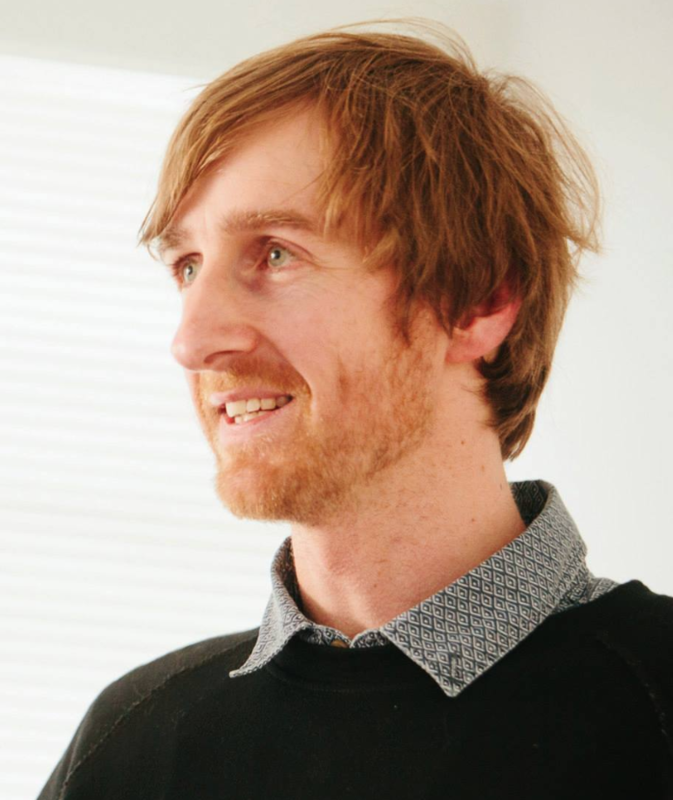 I am a 42 year old male (a husband and father of three children) from Tasmania, Australia. I have been suffering from suspected epididymitis since May 2017. After taking a number of courses of antibiotics (such as doxycycline) on and off over several months with some improvement, but no full cure, I was referred to a urologist. After a very cursory appointment of around 5-10 minutes he prescribed me Ciprofloxacin. No mention of any possible side-effects was made. Three days into taking this course of Ciprofloxacin (12 February 2018) I began getting pain down both shins. My legs also felt weak/heavy. By Day 5 the pain was considerably worse and had begun to spread to my ankles and feet. I decided to stop taking any more Ciprofloxacin tablets as the timing seemed to be too much of a coincidence (had now taken 10 tablets – 5 days of 2 tablets per day). I also read a number of peer-reviewed medical and research articles online and many other thoroughly researched articles online (from the US, Canada and Europe) that document thousands of cases of people who have had serious adverse reactions to Fluoroquinolone drugs – many whose initial symptoms were almost identical to my own. Over the next few days the pain continued to spread into my heels, ankles, feet, toes, shoulders, arms and elbows, with shooting pain in my tendons and muscles. I also started experiencing tingling sensations in various parts of my body – like little shocks of electricity that continued to move about the body – particularly limbs and face. My legs started to lose strength and I had difficulty walking. I also began to experience numb feet and toes. I have also experienced brain fog and considerable fatigue since this time. On the 23 February 2018 my condition deteriorated rapidly. I was at work (I am a high school English teacher) and was walking to my classroom when my left ankle begun hurting much worse than I had been experiencing over the last few days. I was barely able to walk and just made it to my classroom by hopping. I went home and later that day to my GP, who referred me to Accident and Emergency. A number of tests, including blood tests were conducted there and the following week an MRI of my brain and spine was conducted. All results returned negative for other possible causes of my symptoms. A physician detected a lack of neurological sensations in my peripherals, particularly lower legs and feet. It is his opinion that my condition is fluoroquinolone toxicity caused by the Ciprofloxacin tablets I took. I continue to have ongoing side effects. The pain has become more concentrated in my joints, especially ankles, shoulders, elbows and wrists, but I continue to have pain down my shins and arms. Just walking from my office to my classroom is difficult and painful as my ankles and lower legs become increasingly sore and weak with walking. Simply holding light objects such as a book for any period of time causes increased pain in my shoulder, arm, elbow and wrists. One of the side-effects that only emerged two months after the initial toxicity is a severe shivering/skin crawling that is very uncomfortable and bordering on painful (perhaps this is due to the weather cooling). I am taking the pain-killer amitriptyline (Endep) daily. I have had to make the difficult decision of reducing my working hours to try to cope with the effects of this toxicity and give my body a greater chance to recover. Other than my current physician and one other GP a few months ago who mentioned an antibiotic that might cure my epididymitis but could cause Achilles tendon ruptures (which he did not name but I now assume was Ciprofloxacin), all the other doctors I have seen have had no awareness of the well-documented and researched serious side effects of this drug. After speaking to two of the doctors, they (to their credit) went away and researched Fluoroquinolone Toxicity Syndrome and came back to me apologising that they had not previously been aware of this and intimated that this is likely what I am experiencing. In many countries this drug has been removed due to the acknowledgement of its serious and long-term side effects. In other countries, such as the US, this drug has the strongest warning label possible (black box warning), following pressure from many medical professionals and this issue resulting in court cases. The US has also already taken a number of other fluoroquinolone-based drugs off the market. It appears that currently Australia is considerably behind much of the developed world on this issue and it is my great desire that changes can be made in my country to avoid other people experiencing what I am experiencing – through the medical profession being made much more aware of the dangers of this drug, increasing the warning labels for this drug and prescribing this drug much more judiciously and as a drug of last resort (if at all). I am grateful that I have a supportive wife, understanding children and a Christian faith and church community to help me wrestle with this condition. One of the most challenging aspects of this toxicity for me is the uncertainty: what will the next hour be like? What will tomorrow be like? What will the next few weeks or months be like? I am still quite likely at the beginning of this journey (having read numerous people’s stories – many of whom are now years into their toxicity). I know that some have made almost complete recoveries within a few months and so am trying to be hopeful and realistic at the same time. I would love to hear from any Australians who have suffered FQT, sharing what their experience has been like and whether they were able to get support from the medical profession or from others within Australia. So sorry you had to join this club that no one wants to belong in. I am not from Australia (US) but did want to make a few comments. First, Australia is NOT behind most other countries in this. 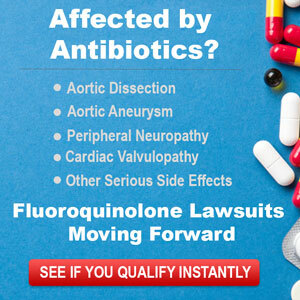 The US / FDA has known for DECADES how toxic the fluoroquinolones are and done nothing. In fact, every time a group like Pubic Citizen tries to get a warning attached, the drug companies fight it, and the FDA is silent (a revolving door of former big pharma people.) When black boxes are added, the doctors all but ignore them. And when ones are yanked off the market, they are replaced with ever more dangerous ones. I am surprised you found even ONE doctor who connected your injuries to the Cipro. I was thrown under the bus by a dozen (well one linked ONE of my more than 30 side effects to the Cipro, but even that was not a resounding “yes!”) You would have more luck in getting help with an integrative MD or a naturopath. I was severely damaged…gasping for breath for months, olfactory nerve damage, terrifying vision issues, excruciating pain, torn meniscus, peripheral neuropathy, etc. I lost 1/4 of my body weight, hair came out in chunks (these are actually failed chemo drugs), ad nauseum. I didn’t start to turn things around until I saw an ND who had treated “floxies” before and started on nutrient IVs. I would suggest trying to find non-pharma alternatives for the pain. Cannabis has helped many. You might also do a search for that on the Floxie Hope site. What I did for my torn menisucus, since I did not want surgery, was prolozone injections (procaine and ozone) which helps the body heal itself naturally. Takes several months to feel the difference. Worked great. I had been using a cane prior and now I am back to doing most things I did before being floxed. I am 3 years post floxing and around 18 months post prolozone injections. Hi L, could you inform me in more detail about the IV treatment you received pls? It’s been 10 months post floxing and I haven’t seen much improvement I’m starting to get desperate but I’m afraid anything else I might try could make things worse which is the last thing I need. I just posted above for someone else, but in case you don’t see it: High dose vitamin C, Myers and phosphatidylcholine. There are others I have gotten recently for other issues, like NAD plus, but they were not in my initial arsenal. I was fortunate to find (after being thrown under the bus by a dozen MDs) an ND who had treated floxies before. I was walking death at this point, and truly I wanted to die. Won’t go into all my side effects again but it was terrifying, and I couldn’t believe someone could feel that sick and still be alive. He was the first one who gave me hope…and started to turn things around. (Sadly he has since closed his office for financial reasons.) I would find a well resepcted ND or integrative MD who does IVs, and go armed with a couple of the dear doctor letters from floxie hope. (I always used the ones from drs De Jonge and Todd Plumb.) If you can’t find someone who has treated floxies, see if you can find someone who has treated Lyme. We share many of the same side effects, even though they stem from different issues. (I also got a push of gluthathione with most of the IVs. I know some have posted that they had negative reactions to glutathione, but I think it was crucial for me. I continued to get glutathione pushes even after I stopped the other IVs. What ND are you seeing that has treated floxies? He was in southern CA. Sadly he had to close his office for financial reasons. In my opinion, your pain is probably being caused by some really bad bacteria. These bacteria have become dominant in your digestive tract and body due to the sequence of antibiotics that you have been on which includes Cipro, which is particularly heavy duty. These bacteria can get into less ‘policed’ parts of your body such as tendons and nerves. I have been poisoned by Cipro which is having long term effects but the pain was simple to fix when I knew how. a. There is a parasite cleanse product sold at pharmacies in New Zealand. It contains Wormwood, Black Walnut, Garlic, Tumeric, Clove root, Paw Paw, Marshmallow Root etc etc. It will kill Bacteria, Fungi, Worms. You take 6 Capsules (which are unique) twice a day for 10 days. I lasted for 5 days, the pain was gone in 4 and has not come back 10 months later. Use Kefir with your breakfast or probiotic tablets to reinfect your gut. A spoon of Oat bran a day provides a good medium for the good bacteria to thrive. b. An alternative for the pain is an Essential Oil which contains Anise Seed, Peppermint Plant, Ginger Rhizome/Root, Caraway Seed, Coriander Seed, Tarragon Plant, and Fennel Seed. This sold through MLM. You will notice I am not using brands, Americans don’t like it. This will also wipe out the bad bacteria after 3 or 4 days. Apply to the skin. c. Another solution for the bacteria would probably be colloidal silver which is a solution of distilled water with silver atoms suspended in it at 10ppm. This will kill just about any bacteria. This is easily purchased in NZ in pharmacies and on trading websites. I do not know about Australia. I know your pharmaceutical laws are tougher than ours. Hopefully your problem is just with the pain. I am having longer term problems with muscle recovery after a major thigh operation. I think this is due to Mitachondria recovery. Could you please give us the names of the supplements? Your post does little to help without those details. Please and thank you! I’m also from Hobart, Tasmania. I’m still suffering from cipro poising 10 months ago with the worst side effects being phychological. Instead of writing a lengthy report perhaps it’s better to have a chat on the phone my number is 0413963532. I was also poisoned by Ciprofloxacin (flouride attached to a quinolne). I had two jobs and felt fine at the age of 35. I was prescribed Ciprofloxacin 500mg twice a day for 28 days. I had not been to the doctor for over 15 years and had NO health issues. Shortly after taking Ciprofloxacin I developed vertigo, dizziness, fasciculations, muscle weakness, headaches, scoliosis, horrible neck & back pain, lack of stamina, and brain fog. I recently had a muscle biopsy and it came back “suggestive for mitochondrial myopathy”. After extensive research I have finally found a recipe to HELP! I Take/eat Tamicon Tamarind Concentrate Organic, Asian Best Tamarind Candy, Boron 3mg daily, Detoxadine Nascent Iodine, Magnesium L-Threonate, Calcium Citrate, Vitamin D3 & K2 1,000IU/ 45mcg, Pure Shilajit, NAC, S.O.D., Resveratrol, Astaxanthin, L-Glutathione, B Vitamins, L-Carnitine, L-Carnosine, Green & White tea & pure organic Cordyceps. YOU MAY HAVE BEEN POISONED BY FLOURIDE AS I WAS. I have also stopped using toothpaste w/ flouride and use flouride reduction water filtration. I went through 4 1/2 years of agony almost giving up! Do not give up!!! L can you tell me what supplements you take? HI Nicholas, Can you give the dosage on what you are taking? Also how long did it take you to find the right supplements?